﻿ Maxtyle Guesthouse Dongdaemun, Seoul | FROM $60 - SAVE ON AGODA! 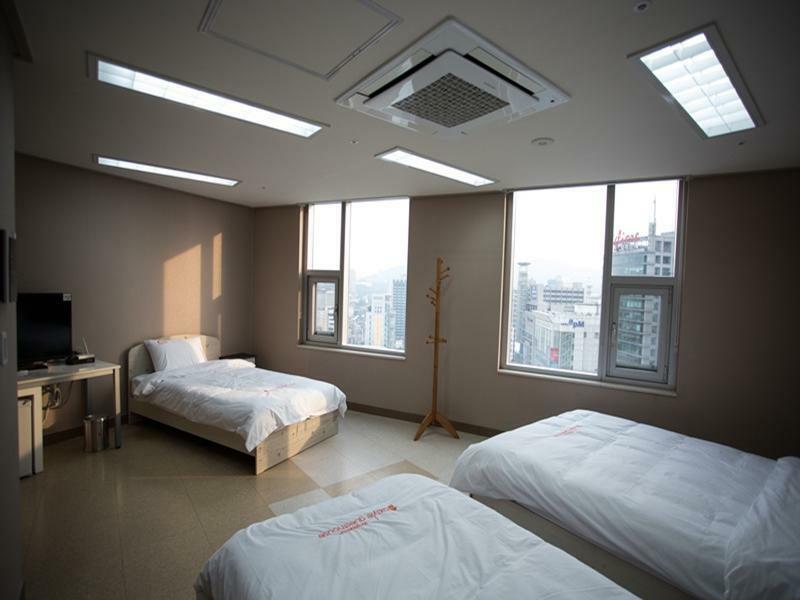 "Nice location and near shopping area, subway"
Have a question for Maxtyle Guesthouse Dongdaemun? 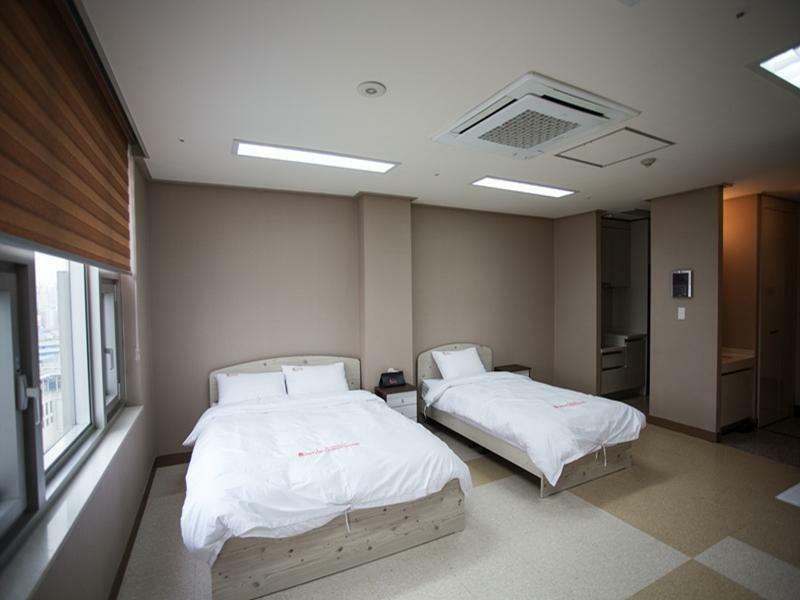 "Maxtyle Dongdaemun Guesthouse located in strategic area." 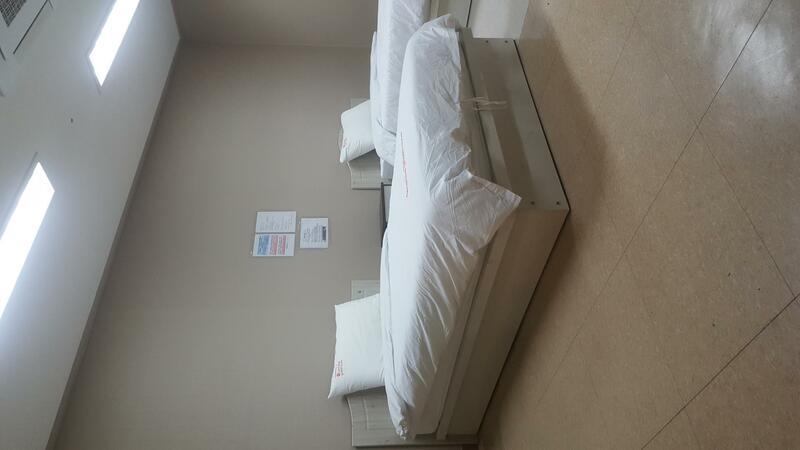 "This is very good location for shopping, i prefer the big room, toilet is clean and also the staff was friendly can help anything ." "Will back here next time." "The room is so big and convenient to shop at night." This house in Dongdaemun, Seoul is a great choice for the ultimate getaway. The rooms here overlook the city for beautiful views of Seoul. The house is near Nampyeonghwa Sangga, Doota, Dongmyeongsa, Kwanghee Fasion Mall, and Migliore Dongdaemun Shop. It is equipped with air conditioning for a comfortable stay. Featuring family rooms, the house offers ample space for your whole family to hang out together. Offering restaurants on-site and a shared kitchen, it features a selection of dining and snacking choices for guests to enjoy. Offering guided tours, it is a great spot to stay to learn about your surroundings and see everything you can while you're here. It has numerous convenient features, such as a currency exchange and a laundromat. There's free Wi-Fi in all rooms, as well as Wi-Fi in common areas, so visitors won't have to spend money on purchasing a local sim card. The house provides a variety of useful services, which include laundry services and luggage storage. When you wake up, you can have a free, delicious breakfast. Dongdaemun Subway Station is 300 m away and Dongdaemun History & Culture Park Subway Station is 500 m away. The nearest airport is Gimpo Airport (GMP) which is located 90 min away. This house offers check-in from 02:00 PM to 11:00 PM, and check-out until 11:00 AM. "Serounding is shopiing area, room is clean"
I've been visiting Korea for the third time and stayed in Maxtyle for the second time. Guest rooms are large and very clean. Beautiful and attractive scenery from outside the window. Have a courteous and kind staff. Located in the heart of the city. Easy to access the subway because there was so many subway station around it. You can choose whether you want to exit way out by using elavator, escalator or by stairs. There was so many exit way out from the subway station. Not every exit have all this three facilities. You must study which exit have the facility you needed. You can also book for the Jumbo Taxi to airport from the reception counter. But bare in mind, there is extra charges for the highway toll may be collect from the driver upon arrive at the airport. >JUMBO TAXI fare is 75,000 won >Highway Toll fare is 10,000 won I'm not sure whether the highway toll fare should be collect from the driver or not. To be clear, should you ask the receptionist regarding this fare. Strategic location, just few minutes walk to Dongdaemun station, very convenient. Please take note that the access is from the door located at left side of Maxtyle building( facing small road, not main road). Breakfast was simple toasted bread with coffee/orange juice. Bed was comfortable. 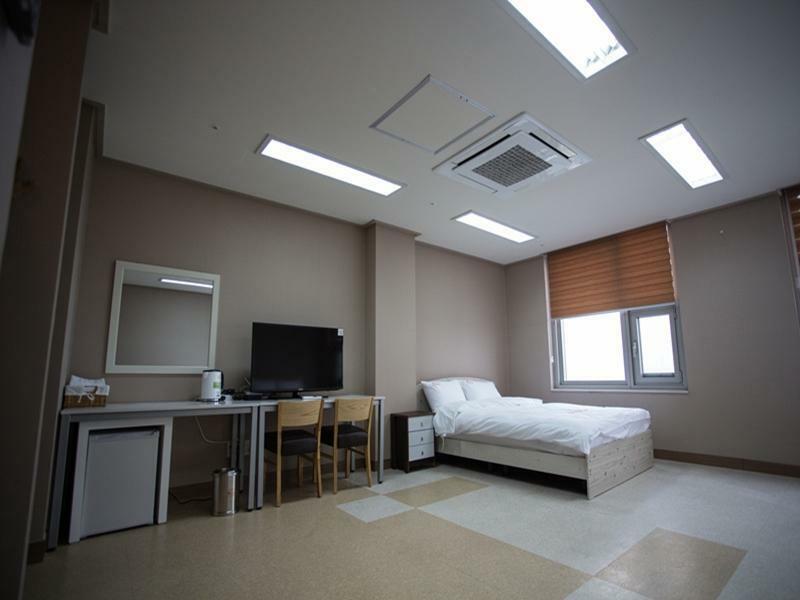 For those who wish to explore Seoul with budget, this is good choice to stay. Recommended. The location of the guesthouse is very strategic！ It is just opposite Dongdaemun Design Plaza and there are so many foods and stalls around the area. The entrance subway station is just a few steps away from the guesthouse. Because it is a guesthouse, so basically you need to self-service for everything. Simple breakfast is provided (cook the egg on your own). We stayed at the 16th floor and have an amazing view of the city. Very pleasant stay. Location of this guesthouse is most ideal for shoppers. The area is full of malls and very alive and vibrant throughout the day and night. It is located above the Maxtyle mall, rooms start on the 15th floor and the office for checking-in is on the 18th floor. It was quite difficult to find at first. After you come out at Exit 1 of the Dongdaemun History and Culture Park station, you will face the huge Maxtyle building right in front of you, across the road. Cross it, and walk to the left of this building. There is a side entrance on the left side with lifts leading to 18th floor for checking in. Or alternatively, you can enter the shopping mall and ask the kind doorman for help. The rooms are huge and clean. We booked a twin but was given 2 twins and 1 double bed. There was plenty of space to spread out. The shower and toilet are together, the sink is outside. There is a small kitchenette with a kettle for boiling water. But no sink here. We are often reminded that this is a guesthouse, not a hotel by the numerous signs. Which means we do everything ourselves. There is no housekeeping, changing of sheets or towels. You have to bring the used towels to 18th floor to get new ones. Breakfast was also on 18th floor, with seating only for 10 people, though there are 2 tables on the corridor. You fry your own eggs, toast your own bread, make your own coffee. Which was quite fun for our group! Location, size of room and decent room rate makes up for the lack of housekeeping and DIY breakfast. Will recommend this guesthouse to groups of friends or families who require big rooms at affordable rates. Maxtyle, Dongdaemun is a good place to stay. Location is convenient area, we can walk from a place to the other area. Namdaemun to Myeongdong and from Myeongdong to Gangwhamun. I love it, will be back to Korea again. It located near Dongdaemun history & culture park station, only 5-10 mins from subway. it is very clean & comfortable, every room with WIFI for us to excess the internet. and it is high value of money. The room very spacious and clean. Hard mattress good for back support. Simple breakfast(coffee maker, tea, bread toast, cook own egg. Orange juice). Must wash own dish. Not convenient for glutten allergy people. Staff friendly. Nice view from window. Can see Dongdaemun shopping malls.like Lotte inn, JW marriot, Dotta. Located near subway Dongdaemun station. Many authentic korea food behind hotel lane. Very clean & very near to MRT ( train station). lots of shopping in walking distance, very good location. a very new guesthoues in the heart of seoul, feel very safe even traveling back to hotel late at nigth. Location very good, train station, shopping ,food, wholesale market & many traveling attraction all in walking distance. The room given is very spacious for four. View from the room number 1710 was fantastic. Location was great as it is about 5-7mins walk from Dongdaemun History & Culture Park Station. Unfortunately, the room was not clean at all during our stay. No proper drinking cups provided, only paper cups given. Heater was very noisy. Overall is a pleasant stay. Staff could not converse in english. Breakfast room too small. We have to eat at the tables placed outside the lift as the breakfast room is over crowded . Breakfast is do it yourself ie fry your own eggs. The hotel limit one egg , two slices of bread and a glass of juice , per guest. No storage area for your luggage after checking out. All luggages are placed around the breakfast room at your own risk. Tiny check in reception , also situated in the breakfast room on the 18 th floor. The hotel DO NOT provided bath towels . Only face towels are provided. Bath room is spacious. Overall i am quite happy with my stay for the price . Quite fun to cook your own breakfast. Could do better with bigger towels. Room size is fantastic big and clean. Location is big plus for shoppers. The location and view from the room is good and the apartment is new and spacious. However, the breakfast I ate everyday for 5 days are 2 X slice of bread + 1 X egg + coffee/orange juice. The reception attitude is extremely poor and don't dun expect good service. When I intend to leave my luggage at the reception after checkout, I have to negotiate and plead the reception to accept my luggage to collect at 9pm due to my flight is 1:40am. Aircon system have a consent knocking sound even when it is off, body soap is empty when we checked in, no bath towel is available (survived 5 days with only face towel). Unless you are going there for shopping and with about 5pax in a room, consider booking this hotel. Value for money but no service. Great location, with Dongdaemun Design Plaza only a step away! Surrounding areas are too good. The only matter was a lot of boxes in the aisle, somehow it blocks the doorway.